Boston have announced the first series of dates for a North American tour. The band will kick off the Hyper Space Tour on in Hollywood, FL on April 14, with the initial run two weeks of shows scheduled through the end of April; four dozen concerts are planned, with dates to be revealed soon. Presale tickets are available starting February 14 at 10:00 am local time, with general public tickets on sale February 17 at 10:00 am local time. 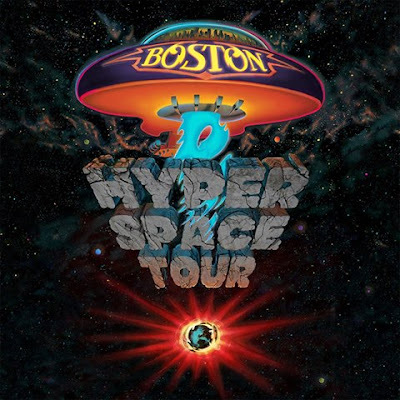 Boston’s 2017 touring lineup includes leader and guitarist Tom Scholz, vocalist Tommy DeCarlo, guitarist Gary Pihl, keyboardist Beth Cohen, bassist Tracy Ferrie, drummer Jeff Neal and backing vocalist Curly Smith. Led by the singles "More Than A Feeling", "Foreplay/Long Time", and "Peace Of Mind", the project peaked at No. 3 on the US Billboard 200 and remained on the chart for 132 weeks. “Boston” went on to sell more than 17 million copies in the States alone (25 million worldwide) on its way to becoming the best-selling pop debut album in history at the time.